Do I really need to have my wisdom teeth removed? At Cranford Dental our answer is MAYBE—— but MAYBE NOT. We do not say that every patient needs her wisdom teeth removed. Your third molars (wisdom teeth) are located way back in your mouth. They are hard to see and harder to reach. Decay on wisdom teeth is sometimes in a location that makes it impossible for a dentist to properly fill the tooth. We do not recommend leaving untreated decay. This could cause pain or other problems at unexpected times. We would advise that you need to have your wisdom tooth removed. Your wisdom teeth may not come in straight—or they be in the wrong place in your mouth. They may be impacted or partially erupted. This causes a risk that a wisdom tooth may damage the teeth and bone around it. It can also lead to pain, swelling, and jaw stiffness from infection in the opening around the tooth. In this case we would advise you to protect your healthy teeth and gums by removing the tooth that is causing the problem. Some patients experience pain as their wisdom teeth are “coming in.” There may not be enough space for the teeth in the mouth. This causes the gum tissue around the tooth to become swollen and painful. Let us know if the back of your mouth bothers you. You may need to have your wisdom teeth removed. Some patients have a hard time brushing and flossing around wisdom teeth. This can lead to pockets that hold food particles and bacteria in the mouth. This causes bad breath which is nearly impossible to fix. It can lead to more severe dental and health problems as the bacteria works in the mouth. If you have problems caring for your third molars you will need to have them removed. Contact Cranford Dental if any of the above apply to you. 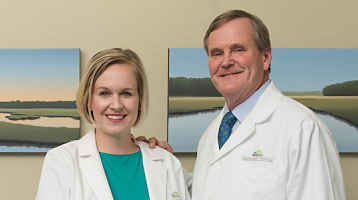 Dr. Cranford or Dr. Robinson will do a visual exam and take a panoramic radiograph to determine whether or not you can keep your wisdom teeth. The best time to have your wisdom teeth removed is usually when you are young. Your dentist may recommend removal soon after the teeth come in (at 17 – 21 years old). This will help avoid future problems that may crop up at inconvenient times for you. 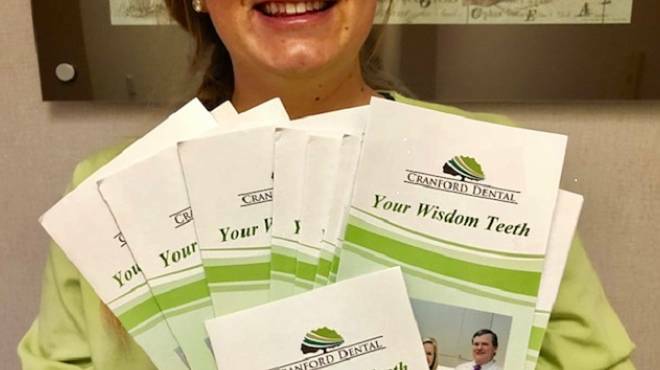 Regular visits to Cranford Dental allow us to track the progress and condition of your wisdom teeth. Your dentist will recommend the extraction of wisdom teeth if she thinks this will help your overall dental health.